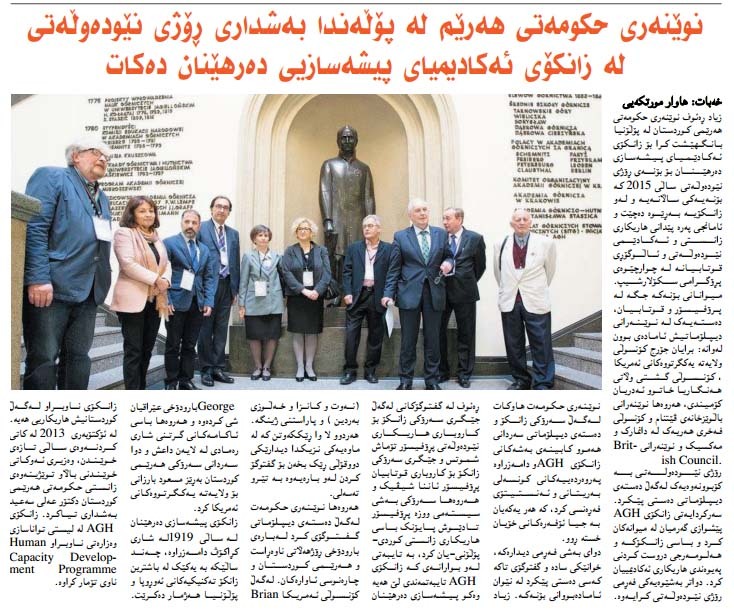 The article in a Kurdish newspaper xebat about an international day 2015 in the University of Science and Technology in Krakow. To get more information about the event you can here. 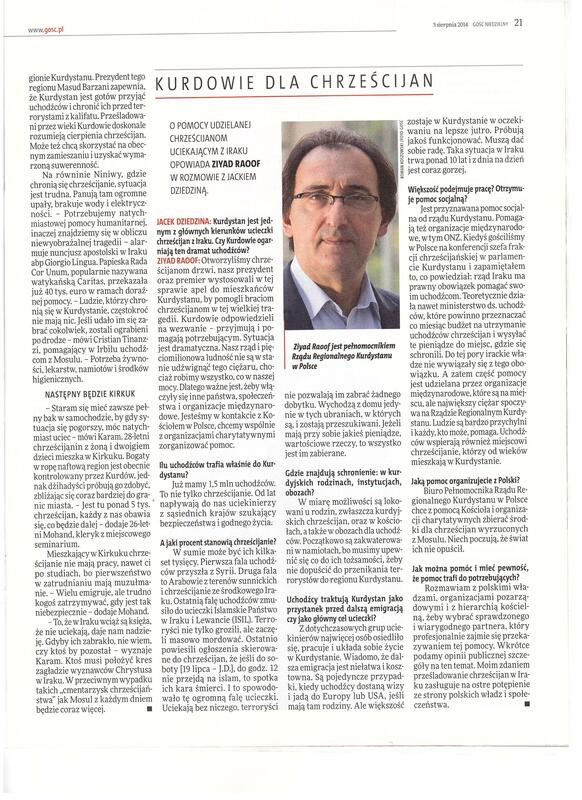 We invite you to read an interview with the KRG Representative to Poland, Ziyad Raoof, where he talk about the situation of Christians in Middle East and about the help they get from the Kurds and international community. 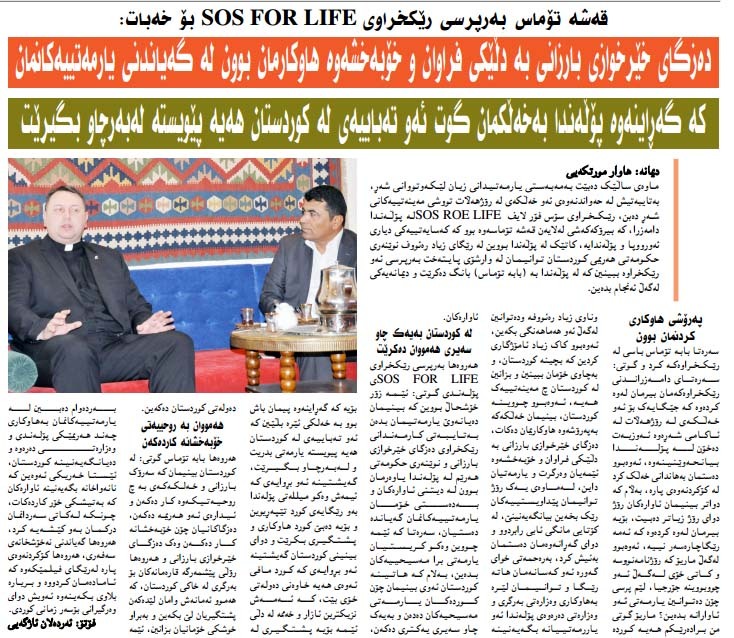 An interview in Xebat newspaper with a Polish priest Tomasz Jegierski, the head of SOS for life organization which helps the refugees in Kurdistan. 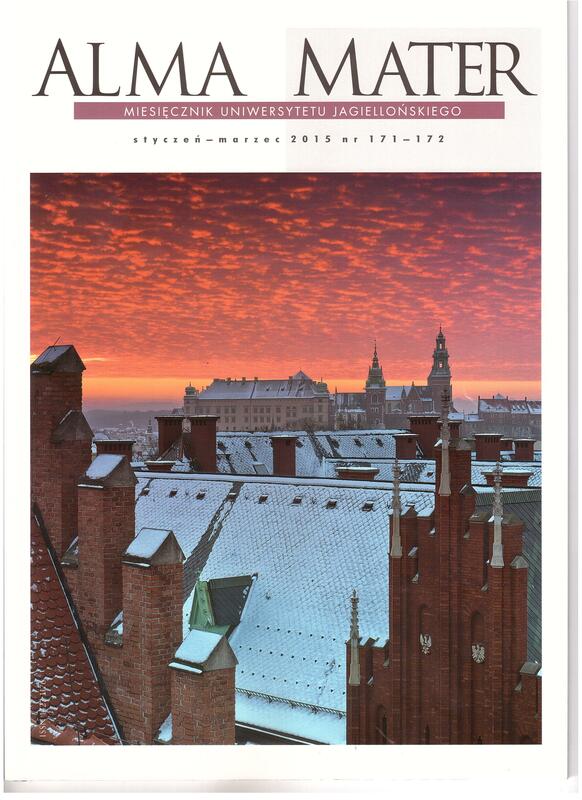 We invite you to read an article in the latest issue of the magazine from the Jagiellonian university called “Alma Mater” about a trip to Kurdistan by a group of Polish students. The organization and financial support of the trip was held by the Kurdistan Regional Government and the office of the Representative of the Kurdistan Regional Government in Poland. 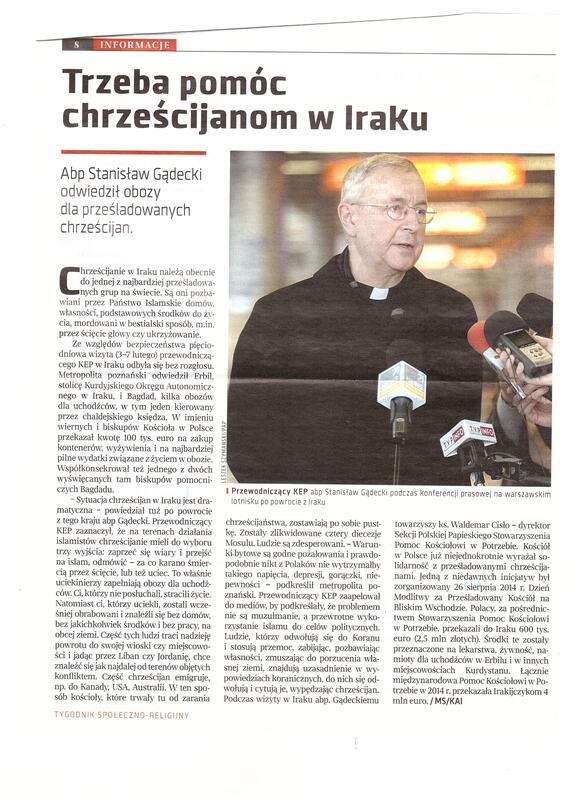 We invite you to read the report in the newspaper “Przewodnik Katolicki” from the recently completed visit to Kurdistan by the Archbishop Stanislaw Gądecki – the President of the Polish Episcopal Conference. The Polish church financially and prayerfully supports the refugees in Kurdistan. The archbishop urged the Poles to continue their support.